This building comes with a high traffic and visibility location along W.Wisconsin Ave. which includes 3200 square feet of commercial space on the main level and an apartment above which is currently rented. 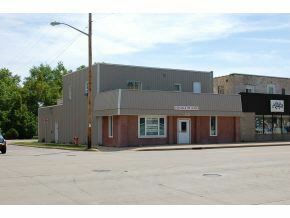 This property is zoned C2 General Business. Highway 41 to Wisconsin Ave. East on Wisconsin Ave. to address. $953 would be your approximate monthly principal and interest payment.